The Guardian reports on the literary world's delight at knighthood. On the other hand Pakistan demand withdrawal of knighthood. This report from the Globe and Mail. Good one, of course the very peaceful 'Muslims' are justified for destroying the whole world over this. What? The Queen can't knight someone she likes? She can't knight someone that other people don't like? 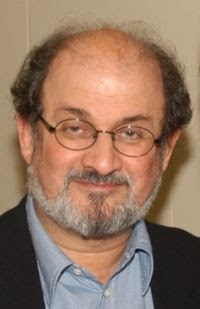 But I'm sure Sir Rushdie has mixed emotions on this; the Queen has put him in much greater danger. Maybe he'll wish he had turned it down. At least this incident will lose the terrorists at least a few more of their dhimmidiot appeasers. Islam in it's extreme is more political ideology than religion. In that way, it is only a 'Religion of Peace' in that when Islam rules the planet, there will be no one to be at war with. Where they are given an inch, they demand a mile. Islamic countries are becoming more extreme, extremists rule, they just keep quoting the Koran to justify their Jihad.